That lovers want to be together, often to the exclusion of others, is a timeless sentiment, so there will always be songs about it. What changes, though, is the way pop singers sing about it. 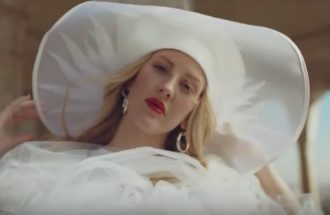 Forty-plus 40 years later, Ellie Goulding, also a sensational songstress, brings her unique vocal style to a song with the same sentiment. “Close To Me,” a collaboration with award winning producer Diplo and rapper Swae Lee, is hovering Top Ten in both Top 40 and Adult Top 40 formats. And if it wasn’t you, I wouldn’t want anybody close to me. Two songs with the same message. Musical styles may change, but the human desire and need for closeness and connection, does not.